Արծաթ Թել Ոստայնը is a folktale based on the story of the birth of Jesus Christ and his subsequent rescue from the wrath of King Herod. Upon learning of a prophecy that the infant Jesus would grow up to become a king, Herod orders all newborns in Bethlehem to be killed. Mary and Joseph take the infant Christ and flee to Egypt. On their journey, they find shelter in a cave, where a tiny spider, fascinated by Christ's innocent and lovely features, weaves a great, protective web. When Herod's soldiers arrive on the scene and notice the huge web at the entrance to the cave, they decide not to enter. The spider saves Jesus' life. 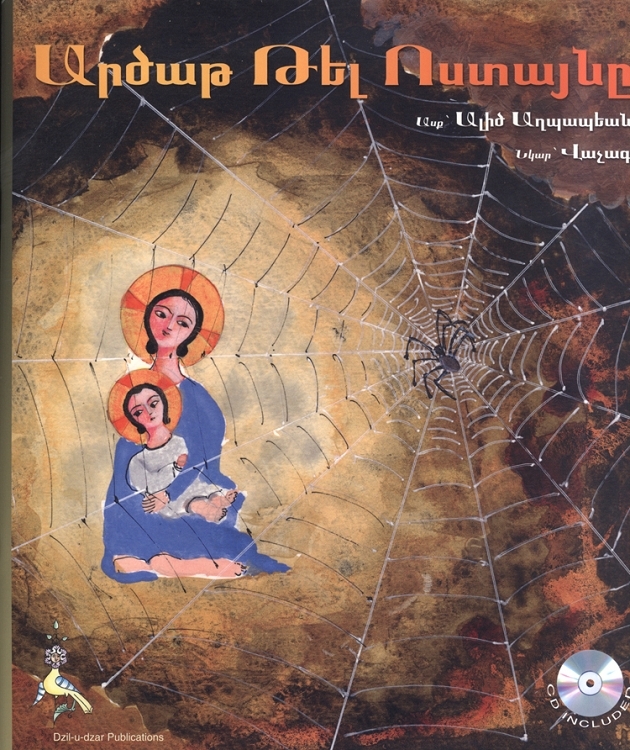 To give the text a traditional flavor, Agbabian has incorporated colorful pictures, verses from the Bible and traditional Armenian Christmas carols from 10th century Armenian poet, philosopher, and musician Krikor Naregatsi. The accompanying compact disc includes Armenian folk songs from the historic Armenian regions of Shadakh and Aintab. The songs are performed a capella by a quartet of female singers led by Areni Aghabian.